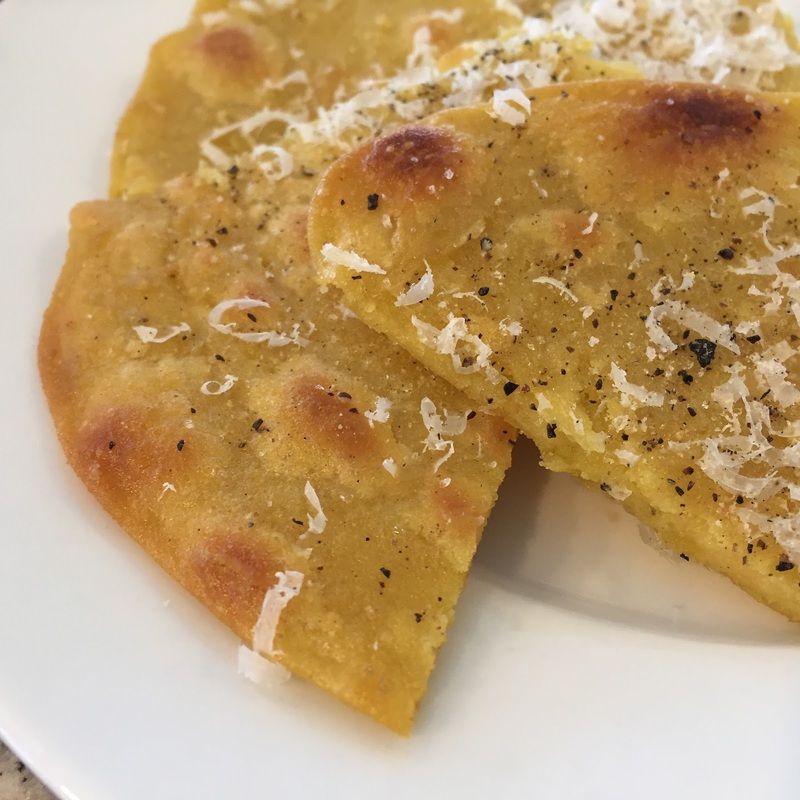 In the Ligurian region of Italy Farinata is a typical snack and Socca is a street food snack found near the Italian border in Nice. 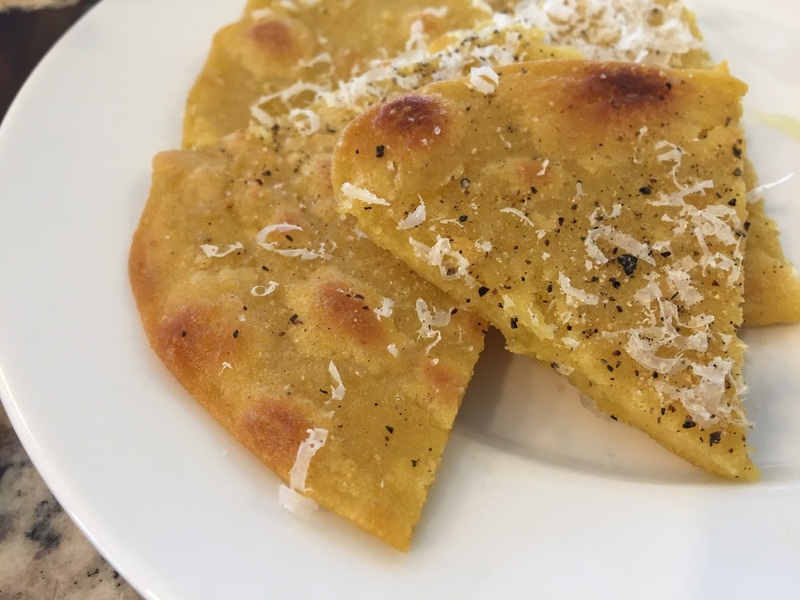 There are slight variations all over and you can make these plain with the basic ingredients or I like them with the addition of lots of pepper, some garlic and even a sprinkle of fresh Parmesano Reggiano on top. They are often made in a wood fired oven and in order to add a bit of smokiness to these homemade versions I have added a bit of cumin. Perfect with a glass of sparking Prosecco or Rose as they do in France. 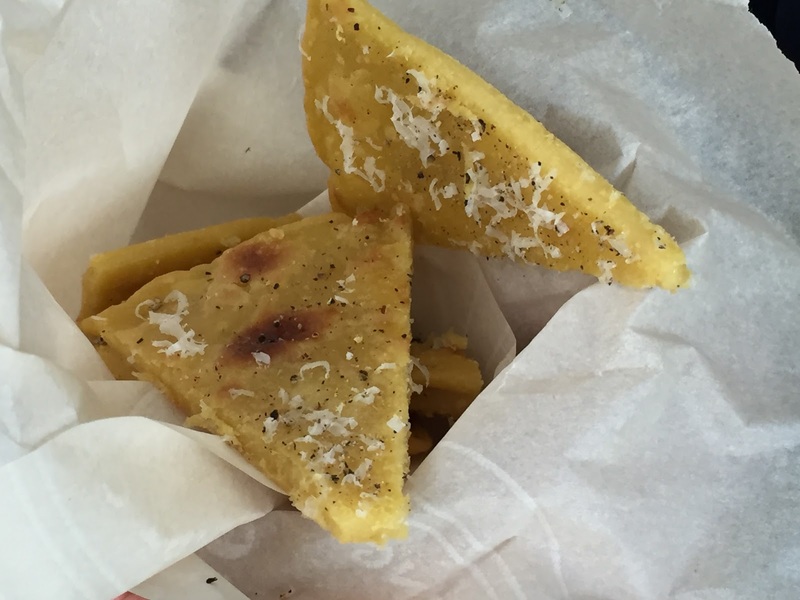 They are typically served in paper cones to soak up any excess oil. 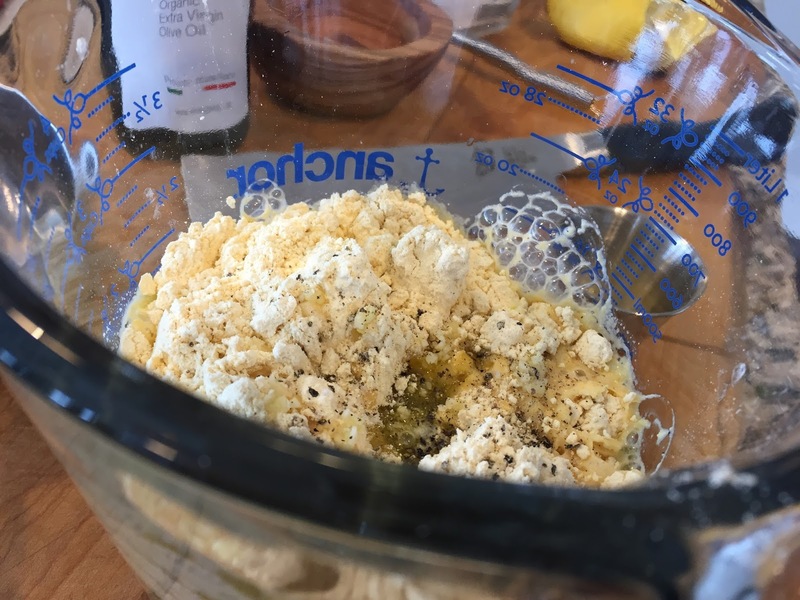 Step 1: In a large measuring cup (which makes it easy to pour) add chickpea flour, water, lemon juice, salt, cumin, olive oil, pepper and garlic. 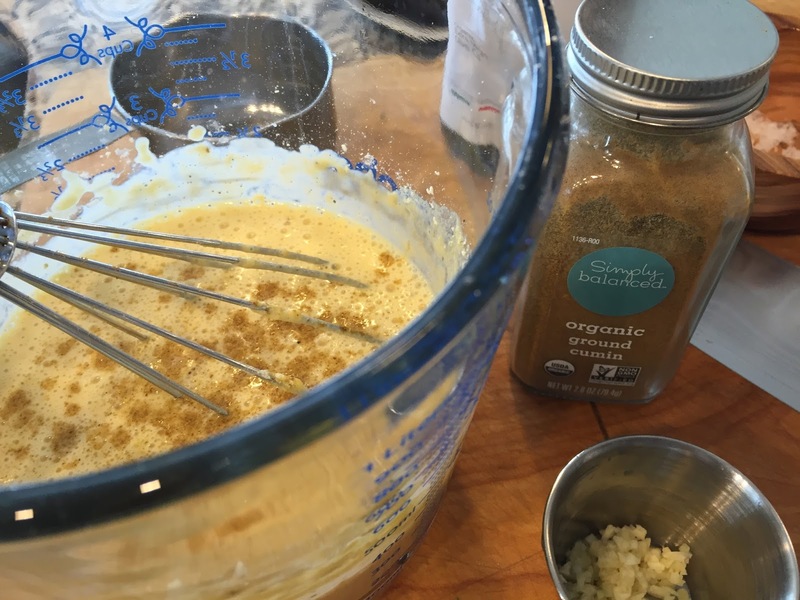 Whisk and leave at room temperature for 1-2 hours. Step 2: Heat oven to broil and make sure rack is close to the top element. 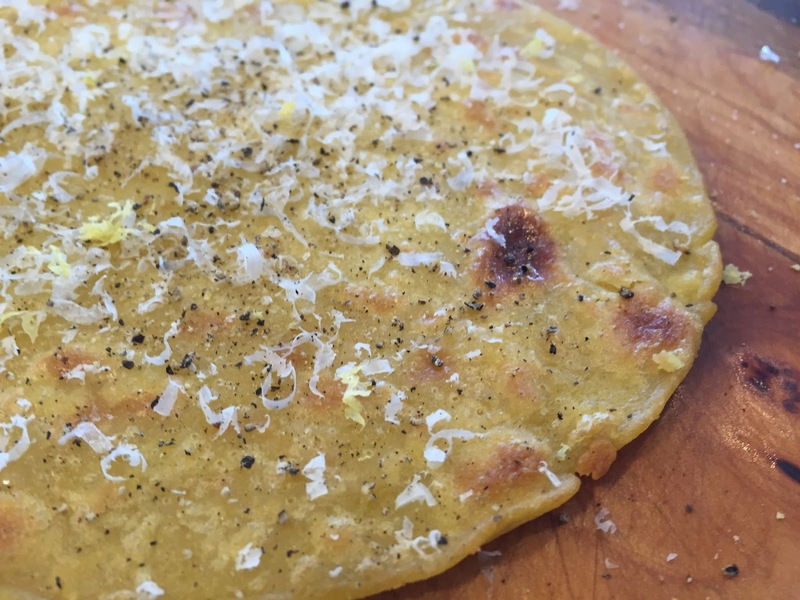 I make these in a small regular fry pan (not a non-stick pan or any pan that cannot safely go into the oven) Many people use a large pan or even a round pizza pan. I use the small pan because I want to easily flip the pancake over to get it browned on both sides and the small pan is just easier to control. Heat your pan in the oven or on the stove to get it very hot. 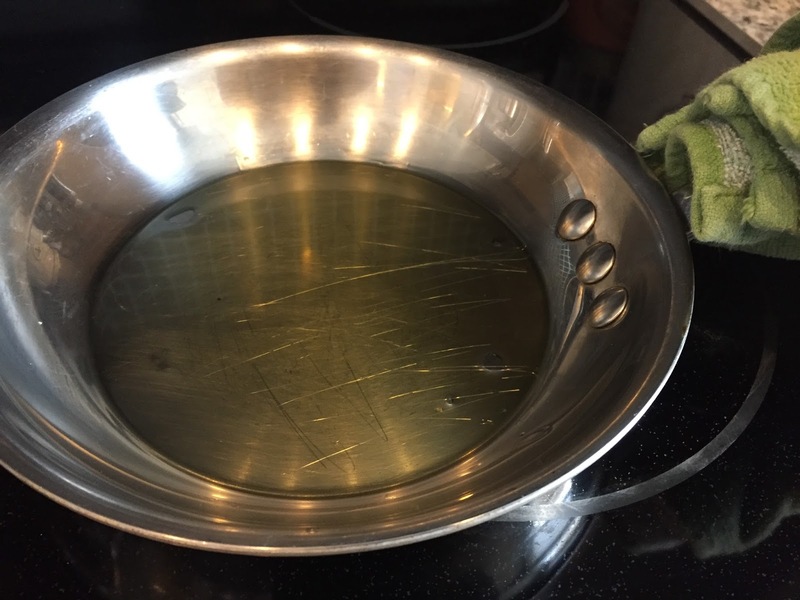 Once the pan is very hot I pour 1-2 tbsp best EVOO in the pan and swirl. 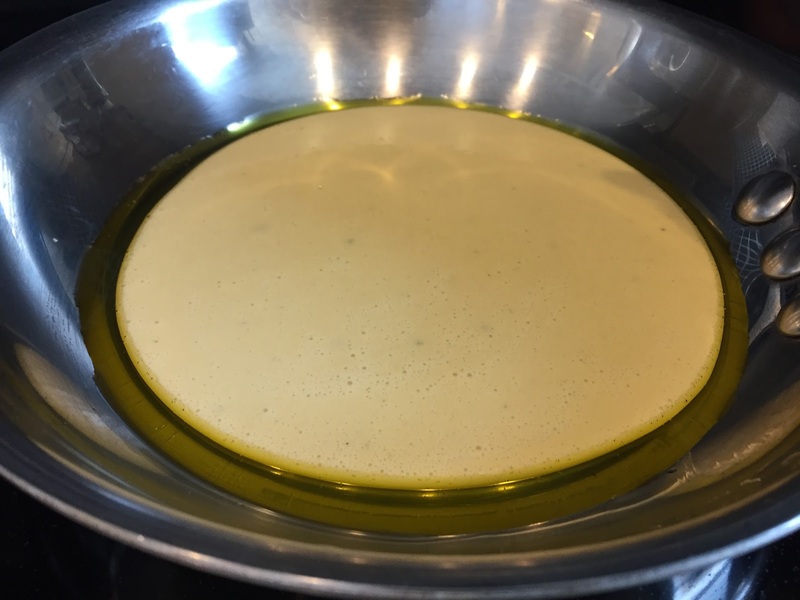 Pour in an even layer of batter and swirl as if you are making a crepe. 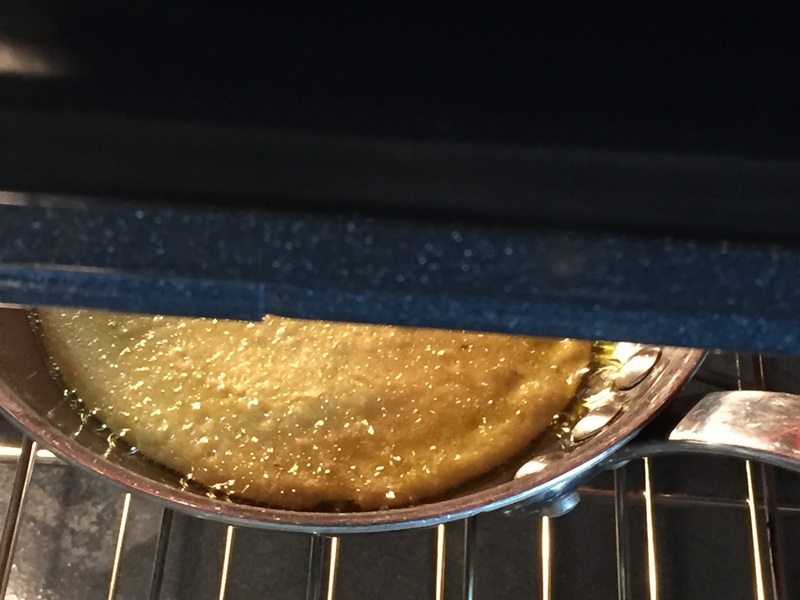 The batter should immediately start to sizzle around the edges like when you make Yorkshire Puddings or Popovers. Step 3: cook under the broiler until the pancake starts to get brown spots – you need to watch these or they will easily burn. Step 4: Carefully remove your pan from the oven and flip the pancake. Return to the oven and cook until it is as browned as you like. 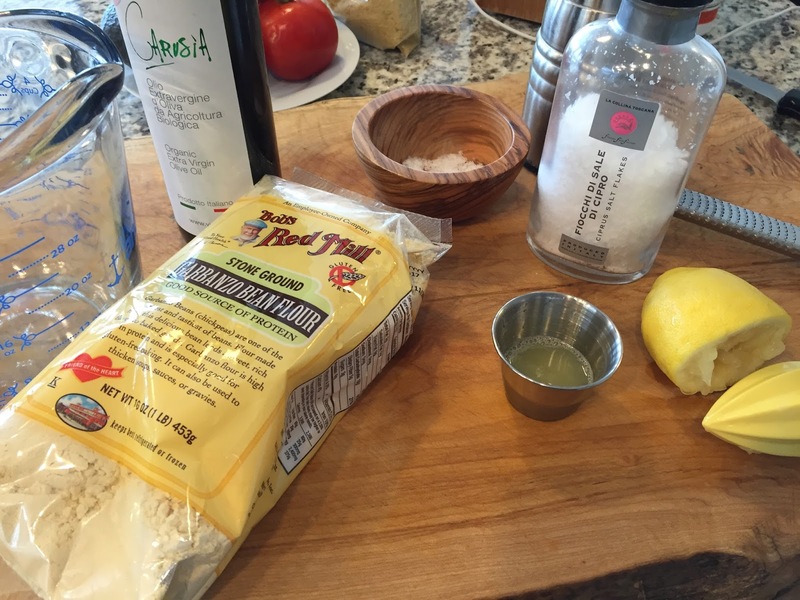 Remove to a cutting board and sprinkle with more salt and pepper, lemon zest and some grated Parm! Cut into pieces and eat while hot! Step 5: continue making the rest of the batter in the same way. 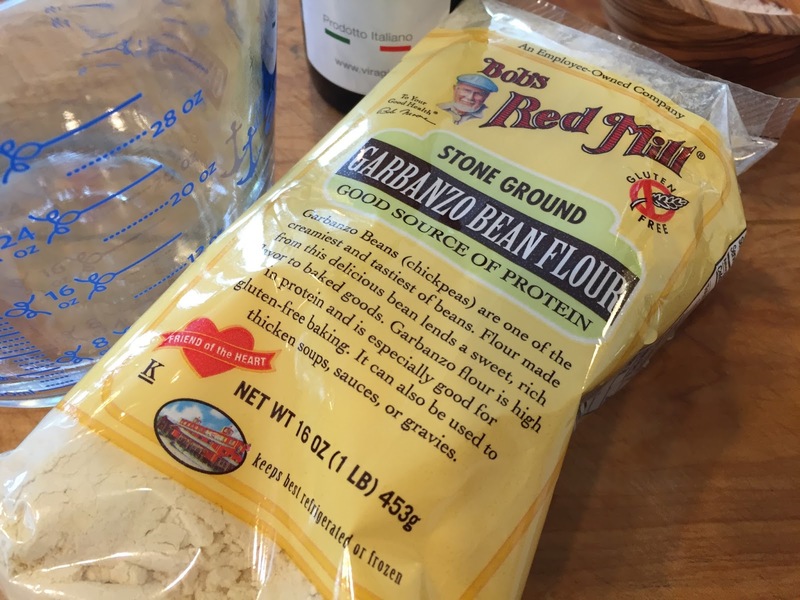 PS I have also made them in a hot non-stick pan on the stove and although they do taste better in the oven they are much easier to make on the stove. It is like cooking crepes. Always remember to add lots of oil and make sure the pan is very hot before you start to add the oil and batter.